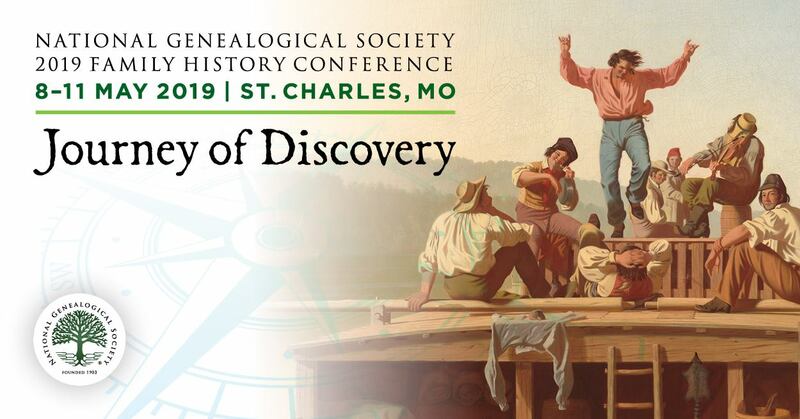 Remember that NGS recognizes excellence The National Genealogical Society recognizes excellence in the genealogy field by presenting awards in numerous categories and several competitions. The deadline for the 2011 awards is the end of the month (31 January 2011). The presentation of these awards is administered by the NGS Awards Committee, which sets deadlines for the receipt of nominations. Notice of the deadlines is sent to the Board of Directors and to the membership through NGS Magazine. Nominations are submitted to the NGS Awards Committee, which reviews and evaluates the nominations. Why not nominate someone you know or enter your own work in one of these NGS competitions? Click on each award/competition to get further details. You might remember that in December we talked about Videos Videos Everywhere! Now it’s time for photos to take a front seat! You will find many collections of interest on Flick. I think of Flickr as a large collection of photo albums, with many viewable by the public. · Library of Congress: in remembrance of the Union and Confederate soldiers who served in the American Civil War (1861-1865), the Liljenquist family recently donated their rare collection of almost 700 ambrotype and tintype photographs to the Library of Congress (LOC). These are posted online in the Flickr photostream Civil War Faces. · With the Sesquicentennial of the Civil War this year, in addition to the LOC collection mentioned is a photostream called Civil War sites & Memorials Today with over 15,000 photos, and one titled Gettysburg with over 12,000 photos. 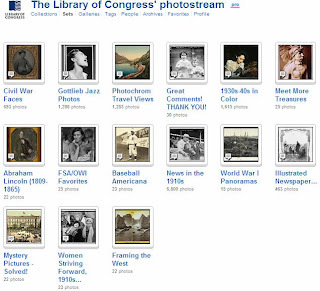 · State Library and Archives of Florida, North Carolina State Archives, State Records NSW’s photostream along with other state and national archival collections. And, it’s not just large entities or events like we’ve already discussed. There is a Genealogy Group Pool, which currently has over 7,800 images, and one titled 100 years old, where photos have to be at least 100 years old, that has almost 17,000 images. 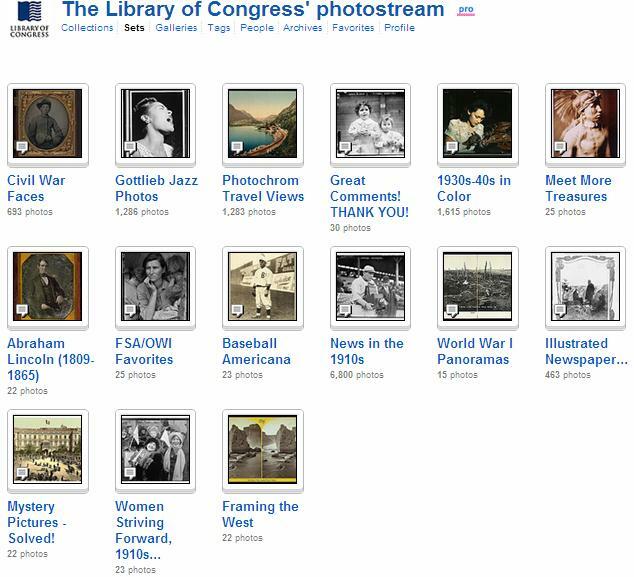 There are some groups of old photographs that have over 50,000 images each! I suspect by now that if you didn’t know how Flickr might help your genealogy research, you do now. Even if a photo of your ancestor isn’t yet posted, there are probably photos to be found relevant to where he lived, who he lived near, the church he attended, the establishments he conducted business with, etc. Have you made a great find on Flickr or used it related to your genealogy research. Is there a Flickr photostream for a genealogy-focused society, archive, etc. we haven’t mentioned? Do you know of a great photo collection not mentioned above? If so, please drop a comment. We’d like to hear from you whether you have made that great find or are an active supplier of photos. Check-out this great article by Sharon Tate Moody titled Special censuses counted more than people. “How much corn, potatoes, flax, sugar and honey did your great-great grandfather farmer produce in 1860? How successful was your great grandfather's small manufacturing business in 1880? How many men and women did he employ and what did he pay them? You’ll have to read the rest of the article to learn more. If you have had some great success with a non-population census, please make a comment. We’d love to hear about it! Read about this exciting opportunity to get a grant to help start, continue or finish a genealogically-related preservation project. PALO ALTO, CA -- January 13, 2011 -- Archives.com, an Inflection brand, today announces its Grant Program, a major initiative to assist individuals and communities with family, communal, and cultural research and preservation projects. The Archives.com Grant will help people and organizations take on historically significant projects that positively impact their family or community. "Since inception, Archives.com has sought to create a simple and affordable family history research experience for users," said CEO Matthew Monahan. "Now we are going one step further by establishing the Archives.com Grant Program so that valuable research projects do not perish due to lack of funding. We aim to level the playing field so that anyone can embark on the preservation projects that matter to them because family history shouldn't be a hobby solely for the rich and famous." Grant recipients may come from all walks of life, and may be individuals or community-based organizations. Specifically, Archives is seeking any project that contributes to the promotion and advancement of family history research and preservation. Examples include projects related to document preservation, artifact restoration, record transcription, and promotion of historical events. Grant recipients will be chosen monthly and awarded up to $1,000 to fund their project. Archives encourages every person or organization in the U.S. to apply, whether a newbie, hobbyist, expert, or community group, like a historical society, library, or archive. "Archives is excited to continue investing in the community, as we believe there are few things more important than the exploration and preservation of our history, culture, and heritage," said Director of Product Joe Godfrey. "Undoubtedly, the Archives.com Grant Program will prove to be an important resource for a diverse group of family historians and organizations." Archives.com provides more than 2 million monthly visitors with an array of powerful tools, expert advice, and access to a database of over 1.1 billion records. If you would like to learn more about the Archives.com Grant Program, please visit the application page. All are encouraged to apply and forward this important opportunity to friends, family, or colleagues. The Sons and Daughters of World War II Veterans is a program of the Admiral Nimitz Foundation and the Nimitz Education and Research Center. “Sixteen million men and women served in the Armed Forces of the United States in World War II, at home, at sea and on battlefields from North Africa, Italy, France and Germany to Burma, China, the islands of the Pacific and the skies over Japan. They were ordinary Americans, called from every walk of life to resist and ultimately vanquish the most powerful armed forces ever raised on earth. 405,399 died in the service of the nation and the cause. A qualifying veteran is a man or woman who served in a Branch of the United States Armed Forces, being the United States Army, United States Army Corps/Air Force, United States Navy, United States Marine Corps, United States Coast Guard and United States Merchant Marine, at any time during the period from 7 December 1941 to 31 December 1946. WASHINGTON (AP) — Caroline Kennedy unveiled the nation's first online presidential archive Thursday, a $10 million project to digitize the most important papers, photographs and recordings of President John F. Kennedy's days in office. Users can sort through the drafts of Kennedy's "Ask not what your country can do for you," speech and see how he tinkered with the words of that most famous line from his inauguration. Or they can listen to his personal phone calls and read his letters. In advance of the 50th anniversary of Kennedy's inauguration Jan. 20, Caroline Kennedy visited the National Archives, saying it reminded her the nation was built on words and ideas — and that her father's call to service was more relevant than ever. "His time is becoming part of history, not living memory, and we need to reach across the generations in new ways," Caroline Kennedy said, noting many young people are disillusioned with politics. "He inspired a generation who inspired their children. They transformed America, and that's why 50 years later, his legacy still resonates." At a news conference, a reporter asked if he would consider putting his papers in Washington, rather than his hometown, to make them more accessible to scholars. "Through scientific means of reproduction ... and this will certainly be increased as time goes on, we will find it possible to reproduce the key documents so that they will be commonly available," the president responded. After four years of work, the Kennedy Presidential Library in Boston has made that a reality. Archivists digitized over 200,000 pages, 1,200 recordings and 300 museum artifacts, as well as reels of film and hundreds of photographs. Library Director Tom Putnam said they started with all of Kennedy's Oval Office files — everything that went across his desk — along with his personal papers, official White House photos, audio of all his public remarks, video of his famous speeches, and home movies. Archivists knew the most requested items in their research room in Boston and used them as a guide. Private partners — including AT&T, EMC Corp., Raytheon Co. and Iron Mountain Corp. — contributed $6.5 million in equipment and technical services to digitize thousands of records. Iron Mountain will store backup copies of all the digital files about 200 feet below ground at its facility in western Pennsylvania. Original files will remain accessible at the Kennedy Library, Putnam said. The digital records, though, will help preserve the originals because they will be handled less frequently, he said. The library will continue digitizing about 100,000 pages a year, along with thousands of photos and recordings. At that rate, it would still take more than 100 years to digitize all records from the Kennedy administration. For students across the country, the online archive will mean access to primary documents for school research. They could examine Kennedy's correspondence with Martin Luther King Jr. from the time they first met to the time King was jailed in Birmingham, Ala. Drafts of Kennedy's speeches show how he was writing and editing along with speechwriter Theodore Sorensen, giving people a sense of the president's power as a writer, Putnam said. "It truly democratizes history," Putnam said. "We're really hopeful it can work both for a young person and for the most serious scholar." Only the George W. Bush and William J. Clinton presidential libraries have extensive records that were "born digital" in the computer age. 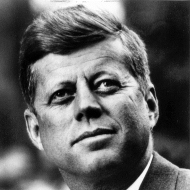 The Kennedy Library's archive will be the largest collection available online to the public. David Ferriero, archivist of the United States, said it will serve as a prototype for other presidential libraries. "In the past 50 years since President Kennedy took office, the scope and scale of presidential records has escalated, as have expectations of access to those records," he said. "For students today, if it isn't online, it doesn't exist."